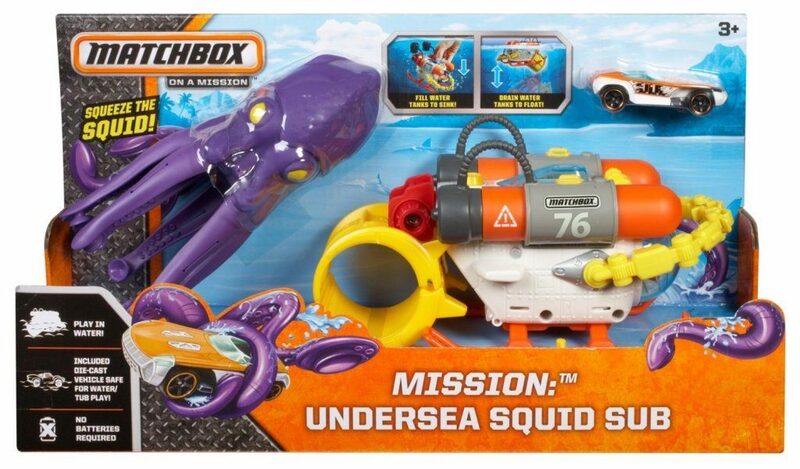 Head over to Amazon and get the Matchbox Mission: Undersea Squid Sub Playset for only $5.47 (reg. $19.99). Shipping will be FREE with Amazon Prime or an order of $35 or more. Comes with water-squirting squid that can attach to the sub with its tentacles! Submarine has a retractable crane arm that can grab objects like the squid!